Police arrested an off-duty Maryland State Trooper after he allegedly pointed a gun at another driver during a road rage altercation, authorities said. 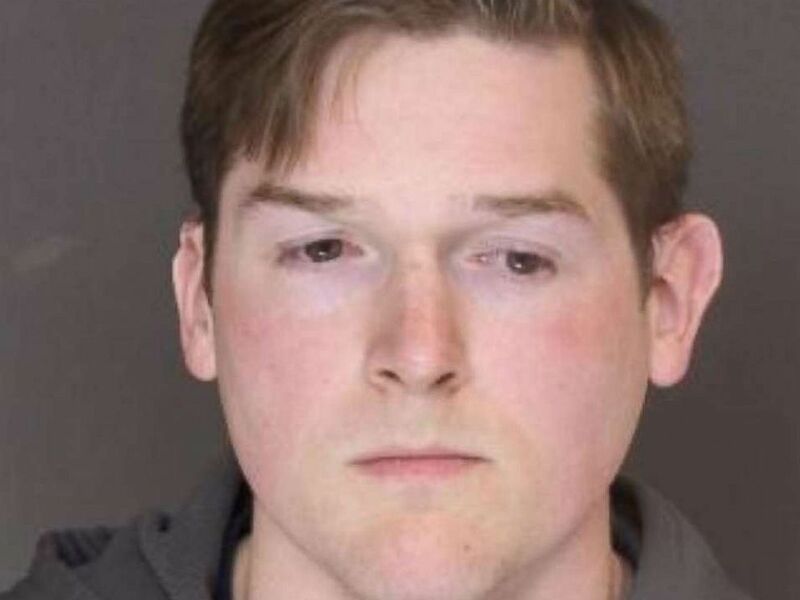 Zachary Tyler Bowen, 28, was arrested in Baltimore County, Maryland, on Sunday after a 911 caller claimed he pulled beside them on a highway and aimed his gun at them, police said in a statement. The male driver and a female passenger said the incident happened at around 6:30 p.m. when they changed lanes on Interstate 695 in Northern Maryland, according to the Baltimore County Police Department. "After changing lanes, a suspect driving a Volkswagen Jetta, came beside the victims’ car. As the incident continued, the suspect inside the Jetta pointed a handgun at the man and woman," the department said in a statement Monday. "The victims were able to provide identifying information about the suspect." Officers said they tracked Bowen down at his home based on information provided by the alleged victims. Bowen, who was off duty at the time, was charged with two counts of first-degree assault, two counts of second-degree assault and the use of a firearm in the commission of a felony/violent crime, according to the Baltimore County Police Department. Police arrested an off-duty Maryland State Trooper after he allegedly pointed a gun at another driver on Sunday, March 18, 2019. Bowen, who has been a state trooper since 2012, was suspended without pay after the incident, Maryland State Police said in a statement. "As a result of the charges placed against him, TFC Bowen was immediately suspended without pay by the Maryland State Police," the statement said. "In addition to the criminal investigation by the Baltimore County Police Department, the Maryland State Police Internal Affairs Division will conduct an administrative investigation." Bowen, who has not yet entered a plea, was released on his own recognizance and has a preliminary hearing scheduled for April 12, online court records showed. It's unclear if Bowen has obtained an attorney.